We Buy Paintings by Roger Kuntz, click here for info. Highly intelligent and an active participant in the world around him, Kuntz pursued many interests in his life: painter, sculptor, fisherman, craftsman, teacher, and jazz musician. He was a quick wit who enjoyed entertaining friends as much as he enjoyed the physical act of painting. Born January 4, 1926 in San Antonio, Texas. Roger Kuntz enrolled at Pomona College in southern California in 1943 where he began his formal art education, which was interrupted when he enlisted in the U.S. Army at the age of eighteen to serve in the Army Air Corps as a B-24 turret gunner. 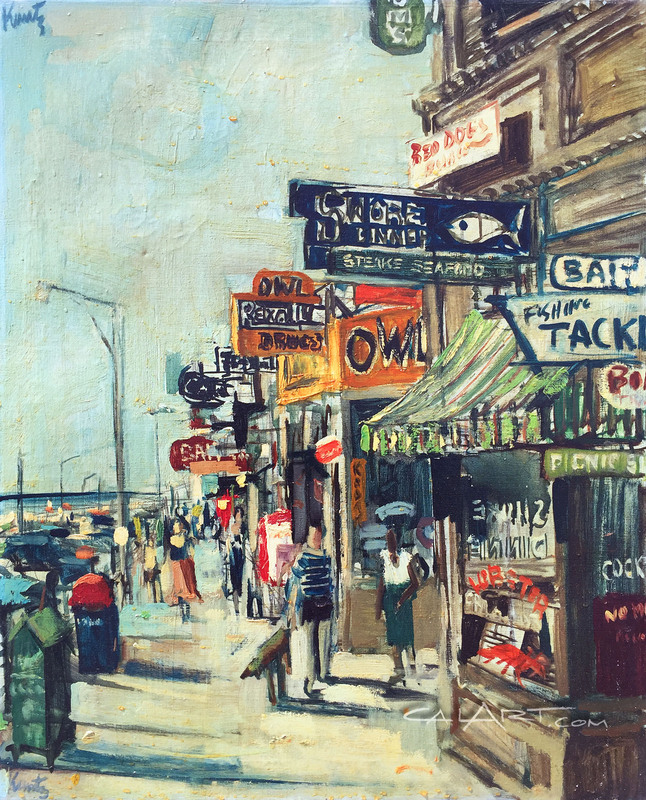 After World War II ended, Roger Kuntz continued his education at Pomona, receiving a Bachelor of Arts degree in 1948 and a Master of Fine Arts degree from the affiliated Claremont Graduate School in 1950. At Claremont he studied under and was greatly influenced by the formal realist painter Henry Lee McFee. During his early career, Kuntz received many prize awards for his still life paintings which were in the manner of McFee. Kuntz garnered national recognition in the 1950's when he received first place and a purchase award at the National Academy of Design (1952), purchase awards at the Denver Art Museum (1952 and 53), and top prizes at the Los Angeles Museum of Art (1953, 54 and 56). In 1954 Roger Kuntz was appointed to the teaching staff of Scripps College in Claremont California, upon the recommendation of the noted California artist Millard Sheets, where he remained for eight years. In 1956, Roger Kuntz took a year sabbatical upon receiving the John Simon Guggenheim Memorial Foundation grant for Fine Arts-Painting. 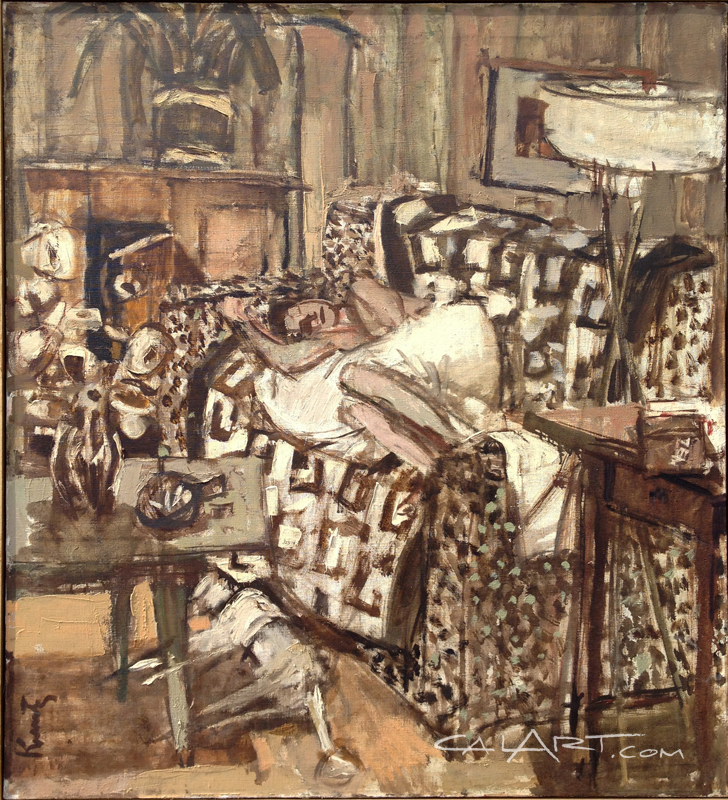 Among the works completed during the fellowship were the interior series paintings, which were semi-abstracted studies of his living room, often featuring his wife Margaret and the family dog, a standard poodle received from Millard Sheets. Roger Kuntz began his most critically acclaimed series of paintings in 1959: the freeway series; a study of abstract values in the conventional images of the Los Angeles highways, bridges, and road signs that made up the city's growing intrastate transportation system. 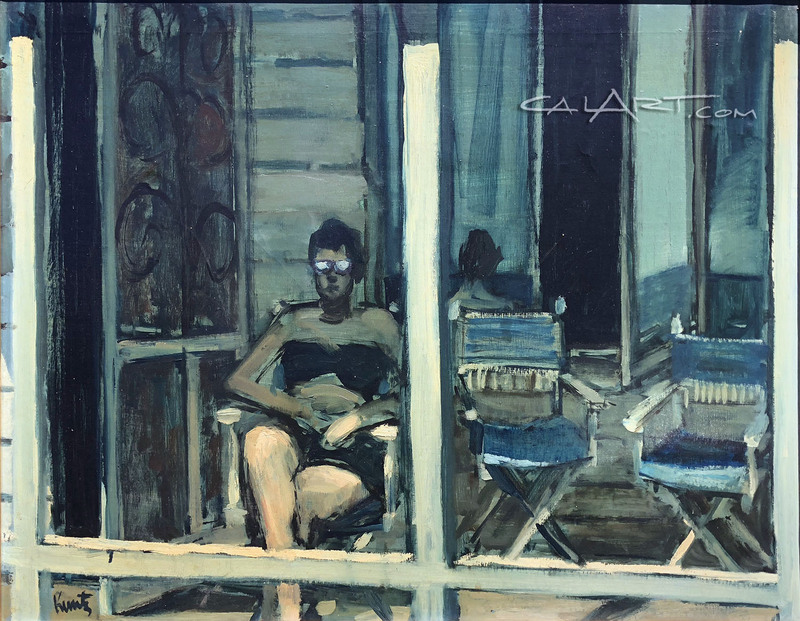 The October 19, 1962 issue of Life magazine included an article about leading California artists featuring: Stanton Macdonald-Wright, John McLaughlin, Billy Al Bengston, and Roger Kuntz, who was photographed for the article standing on the beach in front of two of his freeway series paintings. 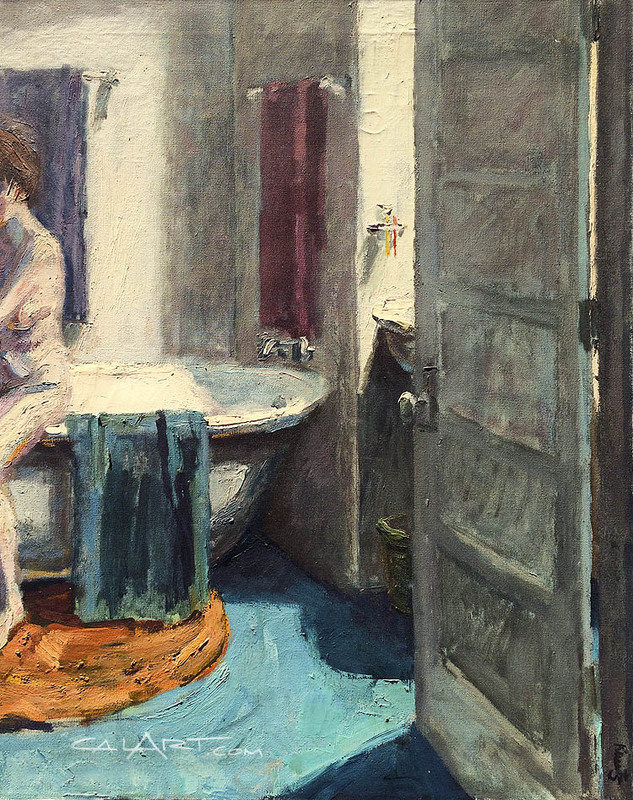 The following year Kuntz exhibited his bathtub series of paintings and bronze sculptures, which led critics to identify him as Southern California's response to the Bay Area Figurative artists. 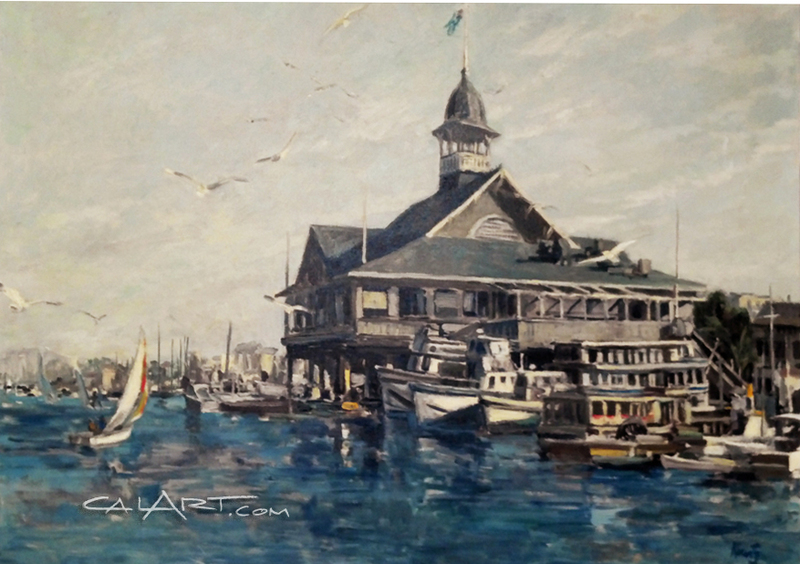 Roger Kuntz moved from Claremont to Laguna Beach in 1963 where he taught painting at the newly established Laguna Beach School of Art and Design. 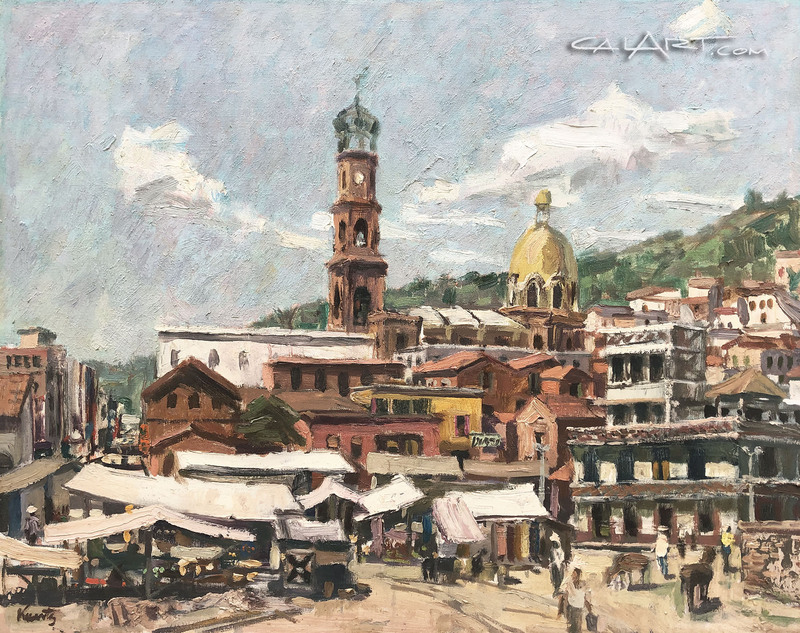 He divorced shortly after moving to Laguna and continued to participate in both regional and national exhibitions. During his years in Laguna he completed series of paintings of the Goodyear blimp, tennis scenes, and local beach landmarks, as well as bronze and ceramic sculpture. Sadly, Kuntz developed cancer in 1973 which affected his ability to paint. On August 22, 1975 he committed suicide at his home in Laguna Beach, California. 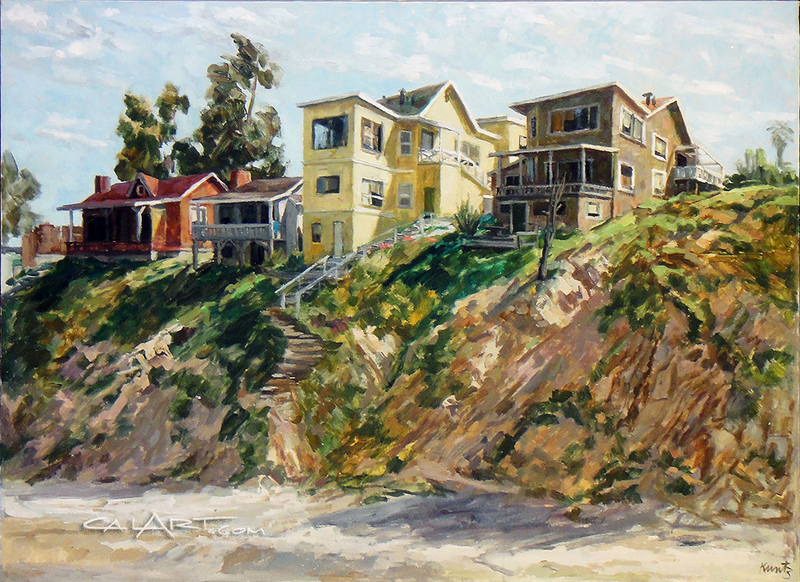 Roger Kuntz is considered to be one of the most accomplished artists associated with the Laguna Beach art colony since the early 20th century plein-air painters. Roger Kuntz is represented in many museum collections, including: The Bowers Museum, Santa Ana, Calif.; Krannert Art Museum, Champaign, Illinois; Laguna Art Museum, Laguna Beach, Calif.; Long Beach Museum of Art, Long Beach, Calif.; Orange County Museum of Art, Newport Beach, Calif.; and Pomona College Museum of Art, Claremont, Calif.